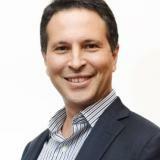 Ronen Lamdan leads WorkFusion in APAC. In addition, Ronen is a thought leader in cognitive automation, artificial intelligence and process optimisation across industries. He has extensive cross-industry experience in IoT, big data, analytics, machine learning and complex systems integration, helping clients drive increasing value out of data through greater understanding. Ronen has worked closely with clients across Asia Pacific to help them transform their operations to drive enhanced outcomes leveraging emerging cognitive automation and robotic process automation capabilities. Prior to WorkFusion, Ronen was at Microsoft where he worked with major banking, real estate, insurance, telco, oil & gas and mining companies across Asia. He accelerated customer digital transformation by leveraging Microsoft’s engineering expertise and cutting edge technologies to deliver valuable customer solutions such as Smart Buildings, Artificial Intelligence, Chat Bots, Analytics, Workplace Transformation, IoT and Cloud. Check out the incredible speaker line-up to see who will be joining Ronen .